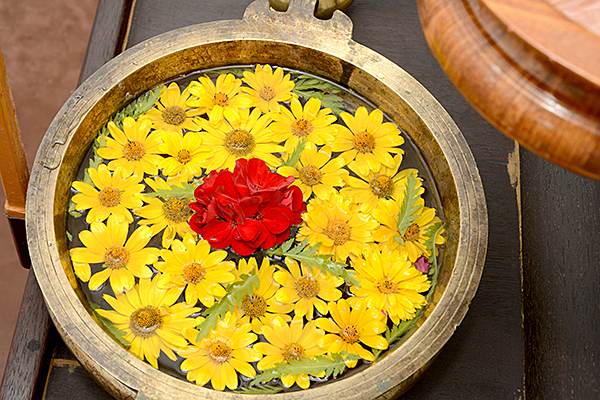 Abhyanga uses heated and herbalized oils massaged all over the body, head and face. Promotes strength and good sleep. Mitigates pain, promotes hair growth and vision. Promotes joints flexibility, improves blood and lymphatic circulation. 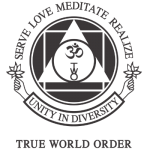 Prevents and corrects afflictions of the nervous system. Promotes longevity, nourishes the body. Balances the subtle body system. Avoided during: Indigestion, cough, cold, diarrhea, fever, menstruation, acute arthritis and infectious diseases. 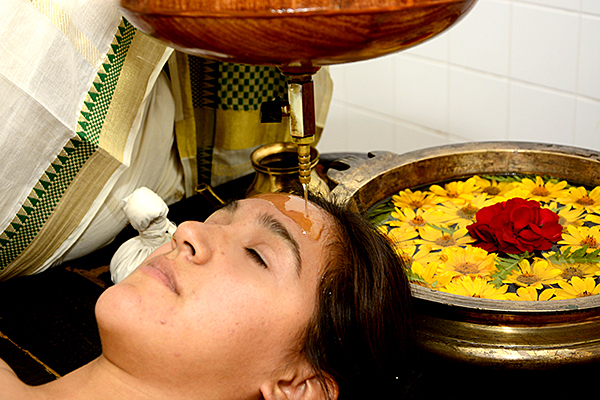 The Ayurveda facial is a natural beauty treatment based on the principles of Ayurveda. It rejuvenates the skin, revitalizes it and makes it healthy and radiant. Along with marma therapy (therapy with vital energy points), it balances the flow of energy, restores a youthful glow and natural radiance. 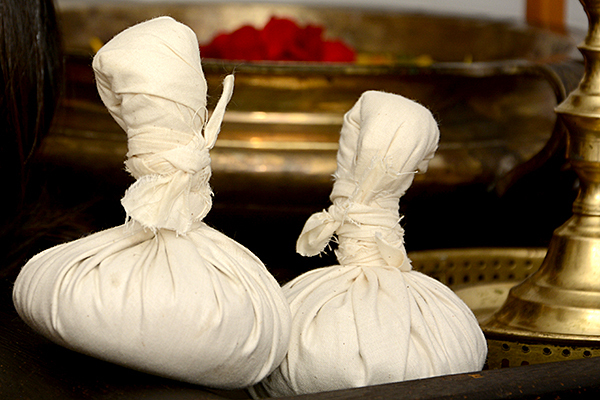 It is the one of the most popular ayurvedic treatment in which warm poultices filled with herbal powder, medicinal concoctions, sand or rice. that are applied all over the body in rhythematic motion. The therapy relieves tension and aids in detoxification, releasing the pain of strained muscles, joint disorders, arthritic conditions and sciatica, creating flexibility in the body. Nasyam is the inhalation of medicated oil drops, usually after a massage to purge and re-juvenate tissues and organs of the head and neck. It cleanses, purify and strengthen the nasal passage. This will stimulate brain cells and improves oxygenation. Also helps in treating sinus congestion, colds, sinusitis, allergies, headaches and migraines. This therapy consists of the continuous flow of medicated oil to the forehead. 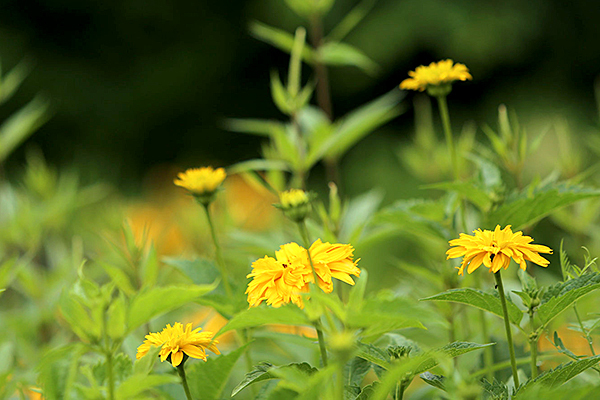 It treats all the psychosomatic conditions, headaches, hypertension and asthma. It strengthens hair and scalp, effective in promoting, sleep, reduces stress, nervous tension and improves the functions of the sense organs. It improves mood and alleviates depression. 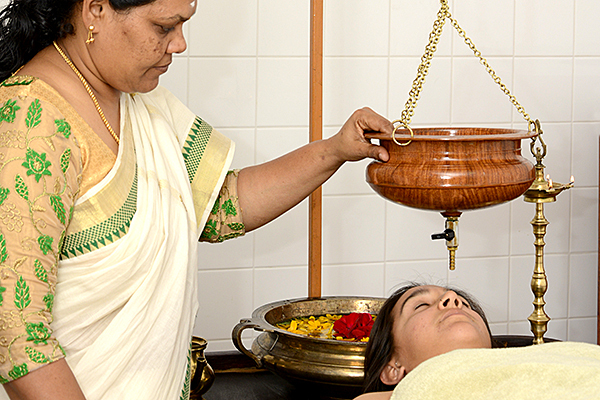 In this treatment, herbs are boiled and steam is made to pass through the whole body and thereby pores are opened. It accelerates the chemical processes inside body to excrete the accumulated toxins out of the body. Improves blood circulation, helps you in reducing weight, relieves your general body aches. You will feel this treatment to be as balancing and energizing as a full body massage.